Angela has several years of experience working in general tax for a large busy public accounting firm prior to her joining CSI Accounting & Payroll in 2016. She also has six years of accounting experience in a variety of other positions that range from accounting coordinator to accounts payable and bookkeeping. Angela double majored receiving a BS in Accounting and Business Administration. 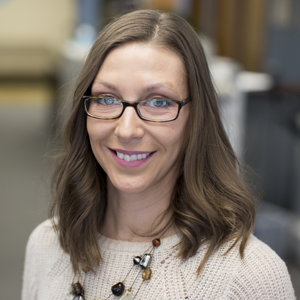 Fun Fact: Angela is known in the office as the gluten-free, scarf-wearing, healthy eating, lean mean bean-counting machine! Her first job was as at the age of twelve where she was dishwasher in a small restaurant where her mother and four of her five siblings also worked. Her favorite outlets include boxing and playing guitar.